And while it’s true that the conversion rate on desktop is still higher compared to mobile, this conversion gap isn’t because people don’t like shopping on their phones or tablets. It’s because the mobile shopping experience leaves a lot to be desired. If you’re a retailer operating on the small screen, it’s important that you take a close look at each of these factors to see if they’re contributing to a poor experience for your customers. Here are some steps you can take to correct course and improve your mobile conversion rates. As comScore’s study notes, many consumers are not confident in sharing secure information when shopping on their mobile device, and this is a significant hindrance to conversions. Alleviate concerns by beefing up your mobile site’s security. For starters, see to it that your SSL certificate is up-to-date and that any information submitted through your site is encrypted. Carl Hendy, an e-commerce and SEO consultant, recommends adding “trust signals” such as security logos or padlock symbols. Doing so builds confidence in mobile shoppers and increases conversions. Here’s a great example from Walmart. 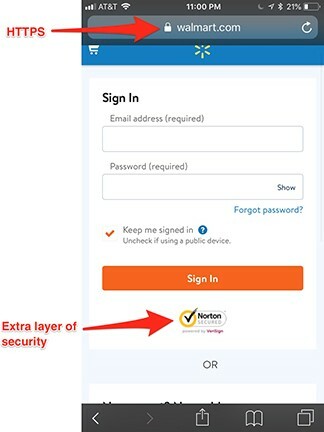 In addition to the padlock icon in the browser bar that indicates an up-to-date SSL certificate, Walmart also displays a “Norton Secured” logo under its login form to show users that they have an extra layer of security on the site. It’s a small detail, but it can certainly put a lot of people at ease and increase conversions. The more comfortable shoppers are on your website, the better the likelihood that they’ll complete their purchases. Your mobile customers won’t convert if they can’t find the products or information they need on your site. Unsurprisingly, 19.3% of mobile shoppers don’t go through with their purchases because navigation is difficult, while 19.6% said that it was because they can’t see product details, according to comScore. Here’s how you can address these concerns. Start by improving navigation on your mobile site. Effective mobile navigation isn’t just about taking your existing desktop menu and making it smaller — merchants need to build to their mobile navigation menu from the ground up. Don’t cram every category or product into your navigation. Limit the items you display at the top level between four and 10. If you need to implement multi-level navigation (common in e-commerce), avoid having more than one sublevel of dropdown menus. Let users access your navigation bar and menu from every page of your mobile site. 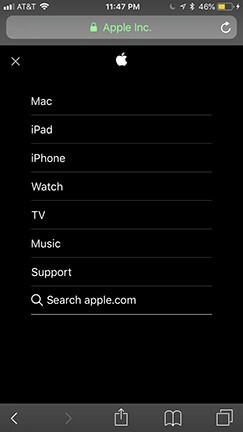 Apple does an amazing job with their mobile navigation. Every link is easy to see and click. Additionally, the navigation menu takes up the entire screen, reducing clutter. Their navigation menu simplifies the browsing experience, so people can efficiently find — and buy — the items they need. See if you can apply the same best practices to your mobile site. You may find that the mere step of improving your navigation menu increases your conversion rate because your customers can get to the products they need faster. Real estate is limited on mobile, so you want the key details of your products to be displayed front and center. Determine the most important things that your customers are looking for and make them clearly visible on your mobile product pages. Don’t forget that great images are also a must. Make sure your customers can browse product images with minimal effort. For instance, department store Nordstrom’s product pages are as beautiful as they are functional. The images are high quality, easy to view, and large enough that users can scroll through without having to leave the page. A quick scroll will lead visitors to the product details section, which has essential item information such as sizing and care instructions. Nordstrom also displays the content in bullet points, making the text simple to read. 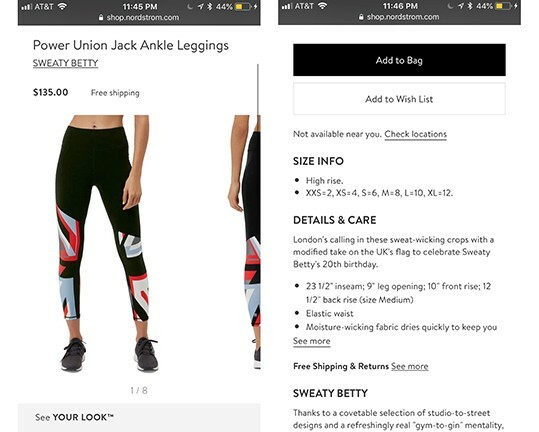 How does a well-designed product page on mobile increase conversion rates? Simply put, product pages such as the one by Nordstrom help eliminate the touch-feel gap that online shoppers often feel. You’re able give your customers a clearer idea of what they’re buying by making it easy for them to find important product details, thus increasing their confidence and moving them down the path to purchase. Product comparison is a significant part of most retail experiences, particularly when it comes to big ticket items. Unfortunately, comparing products on mobile can be a tricky task because of the limited real estate. It’s cumbersome to switch browser tabs on a smartphone, so viewing multiple products can be challenging — and this poor experience contributes significantly to low conversion rates. Nearly 20% of mobile shoppers don’t convert because they can’t browse multiple screens or compare products, according to comScore. So, how do you make product comparison easier for your mobile shoppers? One idea is to display similar items on your product pages. Figure out which items are commonly viewed (and likely compared) by your customers, then display those items at the bottom of your product pages for easy access. 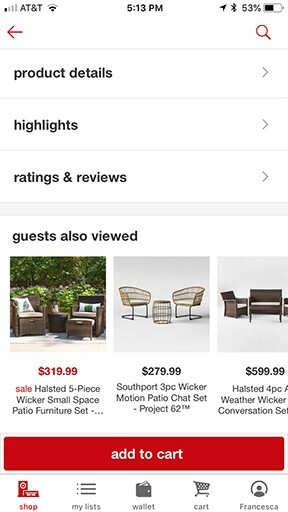 Target, for instance has a “guest also viewed” section on its product pages to enable customers to quickly access similar items without going back to the category page. You could also create tables for commonly compared items so people can view them side-by-side. Amazon does this really well. 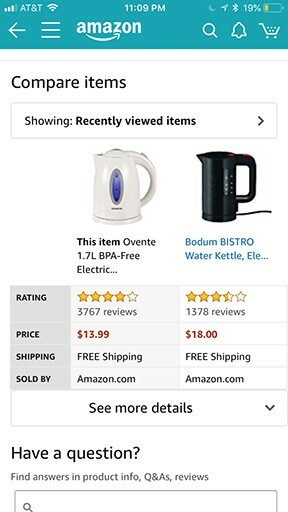 When you scroll down their product pages, you’ll see a table that gives you a side-by-side comparison of similar items or your recently viewed products. 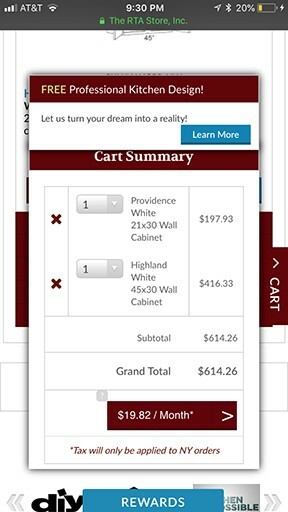 Much like well-crafted product pages, providing easy access to similar items and comparison tables arms customers with the information they need to make confident purchase decisions. This, in turns, helps get them to the checkout page faster. When customers want to buy from you, the last thing they want is to spend too much time filling out forms. 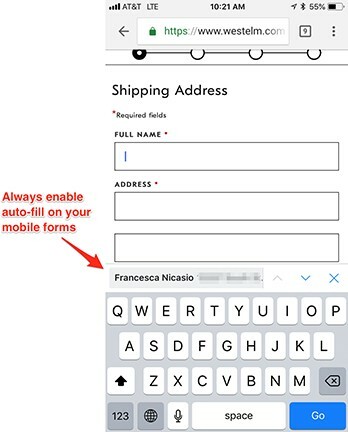 So do your shoppers (and yourself) a favor and optimize your forms for mobile. A long form can be intimidating and cause people to bounce the moment they see it. Prevent that by designing mobile forms that are easy on the eyes — and fingers. West Elm does this really well. 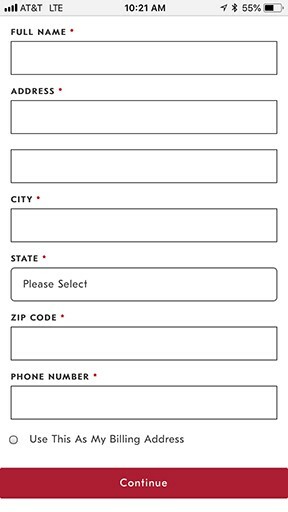 Notice how its entire mobile form fits on one page and uses clear text and large fields. Allow customers to quickly enter their information through autofill. Design forms that work with the auto-fill features of popular mobile browsers and test them on different devices to make sure they work properly. Give shoppers the option to create an account so when they’re logged in, they can use their previously-entered details at checkout. Encourage this behavior whenever you can. For example, ask first-time buyers if they’d like to create an account for future purchases. You don’t want to force consumers to create a login and risk cart abandonment, but at least let visitors know that it’s an option and for their overall benefit. Selling big-ticket items? Give your customers the ability to pay off their purchases over time. Offering financing options gives consumers more spending power and helps eliminate the hesitation that people feel when looking at a high upfront cost. A whopping 93% of first-time consumer credit users said they would use consumer credit again and 30% of shoppers said they wouldn’t have made the purchase at all if it weren’t for the six- month financing offered, according to the e-commerce platform BigCommerce. As for conversions, research by ICAR found that offering instant financing can improve conversion rates by 20%. One merchant that’s seen higher conversion rates and AOVs by offering consumer credit is TheRTAStore.com, an online retailer that sells higher-priced items such as cabinets, countertops, and bathroom vanities. Consumers will be given the option to apply for consumer credit and pay for your items over time when products are added to their cart and they head to checkout. From there, customers can fill out a short application, receive a rate, and decide whether or not to complete the purchase. Implementing point of sale financing has yielded great results for TheRTAStore.com. 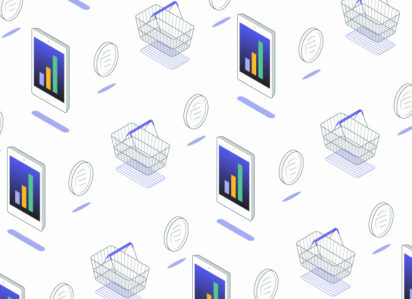 Founder and CEO Tyler Ackerman said that offering consumer credit on their site not only led to 35% increase in AOV, but it also helped them win back 3.7% of customers who wouldn’t have purchased otherwise. Clearly, financing has its benefits (for both shoppers and retailers). That’s why if you’re selling high-priced merchandise, you should seriously consider offering customers alternative payment options. There are several companies that provide financing solutions for e-commerce by simply integrating their technology into your site. 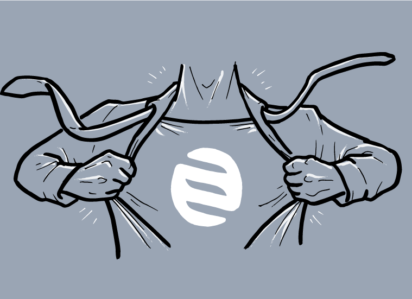 Always test your site to ensure that it’s operating at an optimal speed. Think With Google offers this tool to check your site speed, which will provide your organization with insights on areas of improvement. Minification is removes unnecessary or redundant data without affecting how the resource is processed by the browser (e.g., code comments and formatting, removing unused code, using shorter variable and function names). Redirects can be necessary, especially when you make inventory changes or sunset products. However, too many redirects can slow down your site because they require extra request-response cycles. Therefore, it’s worth re-evaluating your website to identify unnecessary redirects and eliminate them to improve the user experience, and ultimately boost conversions. Images usually account for the most downloaded bytes on a page. To make sure that your images optimized, follow this checklist from Google Developers. In addition to optimizing your images, keeping mobile plugins to a minimum can speed up your website. For obvious reasons, enabling too many plugins or scripts will negatively affect your site speed. 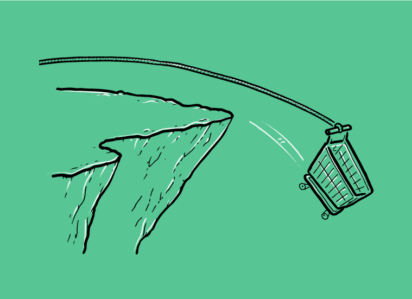 Deactivate unnecessary scripts or plugins to keep your website lean and fast. This post offers plenty of mobile conversion tips and best practices, but ultimately, the right steps will depend on your specific website. That’s why it’s critical to measure and test your site constantly. “Using Google Analytics or another analytics package will help you measure success rate or help identify any issues you may have you in the checkout process,” Hendy said. “You could also split test the changes you want to make to your checkout process by using one of the many AB testing tools out there. Google has their own free tool available” on their website, he added. Desktop and mobile users behave differently, so it’s crucial to track those metrics separately. For example, if you discover that your mobile users are more likely to use the search field when browsing your site, then you’ll want to make your search function more prominent on mobile. Whatever the case, know that having a slow or outdated mobile website is no longer an option. Any merchant who wants to thrive in today’s retail landscape needs to stay on top of their mobile game and ensure that shoppers have an equally seamless experience on the small screen as they do on their desktops. To figure out how to do this on your website, devote resources and time towards evaluating your mobile site. A good first step is even shopping your brand the same way that your mobile customers would and assess your site’s security, speed, and usability. Ultimately, the site needs to check off a few crucial boxes: Does it look and feel trustworthy? Can people find what they need easily? Does your website load quickly? If you cannot say “yes” without absolute certainty to these questions, it should serve as a glaring prompt to implement changes, run tests, and create a mobile site that’s a joy to not only browse, but come back time and again to make purchases on every visit.